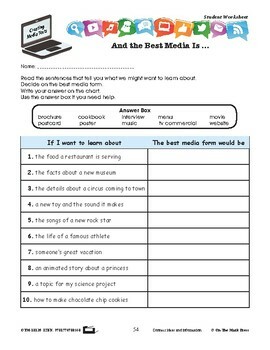 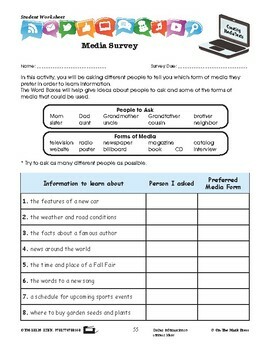 The goal of this lesson plan is to identify the appropriate form of a simple media text compatible with the purpose and audience. 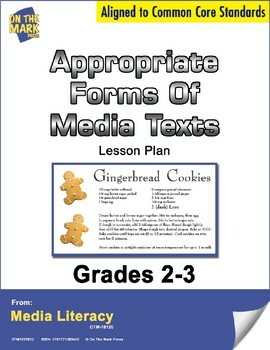 Common Core is met by connecting ideas and information and gathering information to connect ideas. 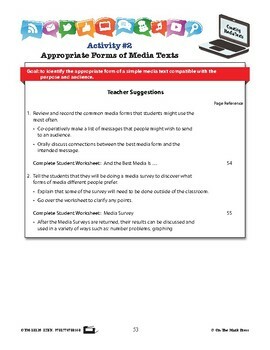 Teacher suggestion page and answer key included.